While most would be happy with collecting a submission victory over a fighter as respected as Tatsuya Kawajiri, Dream lightweight champ Shinya Aoki was hoping for more. “When I caught him and tried to submit him, I heard a loud crackle sound. 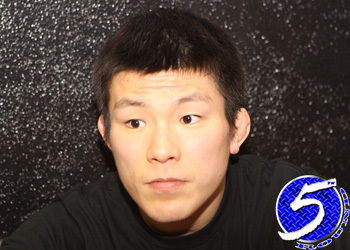 He did not tap so I thought ‘Ok, this match just became a death-fight’ and I was going to destroy his leg,” Aoki told SportsNavi (translated by MiddleEasy). “I knew Kawajiri never taps so I could not win without breaking his bone. Sandwiched between the bone-cracking wins was a unanimous decision thrashing to Strikeforce lightweight king Gilbert Melendez in April. Like most men, Aoki needed the guidance of a strong woman to set him straight … or wake his inner demon. Although “Tobikan Judan” was pushing a Dream.16 rematch against Melendez, Sherdog.com spoke with Gilbert’s pops on Monday and said a September bout would be too soon for them. However, Team Melendez has every intention on granting Aoki a mulligan on his home turf.